Many residents of Rockcastle County took advantage of free laundry service, free clothing, a health fair, cooking classes, flee dipping for their pets, and other activities as four churches in the Rockcastle Baptist Association (Fairview, Macedonia, Mt. 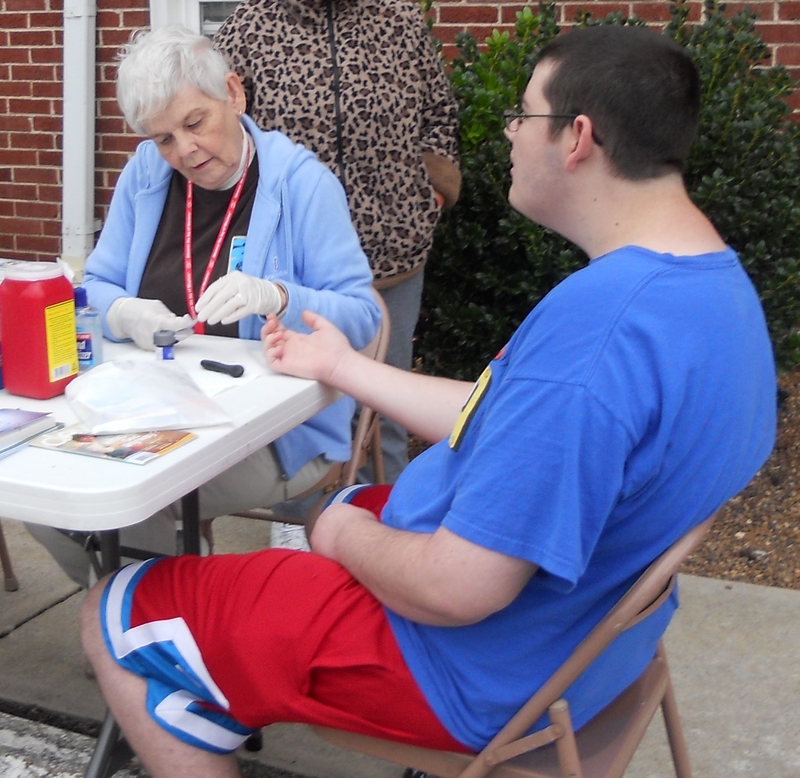 Zion, and Ottawa) hosted their first Operation Inasmuch Day on Saturday, May 17th. Children enjoyed face painting, puppets, and other fun “kid” activities throughout the day as well. This was all a part of the churches’ attempt to show the love of Christ to those in the community. There were reports of at least four new families in church on Sunday morning as a direct result of the outreach event. Other Kentucky churches and associations have also hosted Inasmuch Days. Several churches in the Somerset area have done so for the past several years. Operation Inasmuch is a national organization founded and directed by David Crocker which, he says, “helps churches to mobilize their people in compassion ministry to people in need within their own community.” The organization gets its name from Matthew 25:40 where Jesus talks about giving the hungry something to eat, giving the thirsty a drink, inviting a stranger in, giving clothes to those who need clothing, looking after those who are sick, and visiting those in prison. Jesus then says, “Inasmuch as you did it to one of the least of these My brethren, you did it to Me” (NIV). Although this was a special one-day event, compassion ministry should be a way-of-life for the Christian. First John 3:17 says, “If anyone has material possessions and sees a brother or sister in need but has no pity on them, how can the love of God be in that person?” (NIV). Another time I recall a neighbor man coming to our house and asking my mother to come and help his sickly wife get ready to go to the hospital. My mother dropped everything and went to the man’s house. The words of Jesus came to mind again when, after washing the disciples’ feet, He said, “Now that I, your Lord and Teacher, have washed your feet, you also should wash one another’s feet” (John 13:14, NIV). for, when my mother returned, she spoke of washing the neighbor lady’s feet. It isn’t very costly to show the love of Christ. It may simply be free laundry service; a bar of soap, water, and a towel; or, a pot of beans and cornbread. What resources do you have to meet the needs in your community? You can find information on Operation Inasmuch at www.operationinasmuch.org.